Sedgefield Village - as it is today. Sedgefield Beaches - serene spaces and fun in the sun. Sedgemeer Park - Elaine Watney's legacy and currently Sedgefield's only retirement home. 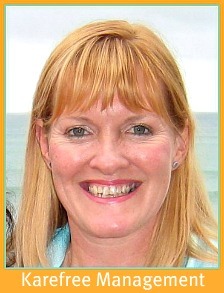 Karefree Management -Karen looks after untenanted Holiday Homes. Sedgefield Classic Cars - a popular tourist attraction. 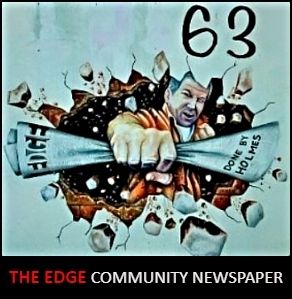 The Edge - Sedgefield's iconic local tabloid. Lakes Bird Club - getting together with birders and binoculars to enjoy Garden Route birding. Outward Bound - the school that challenges you to rethink what you expect of yourself. Sedgefield Floods - how they have affected the village. Rehabilitating Raptors-helping birds of prey in trouble. Downunder - Paul and Jeanette's Protea Farm and retirement retreat. Slow Festival Fotos- some shots of 2011 festivities caught on my camera. GARDEN ROUTE NATIONAL PARK pioneering the concept of conservation without boundaries. Fabulous Fynbos - indigenous flowers of the Garden Route. Fine Indigenous Forests - a kaleidoscope of colours. Fynbos creatures - Restoration initiatives for wildlife. Garden Route Lakes - wetland wonderland. Goukamma Nature Reserve - unpretentious gem of biodiversity. Biomimicry - tapping into the genius of nature. Knysna Forest Woodcutters - their history. Knynsa Hope Spot - Ocean conservation area. Dalena Wolmarans - a Knysna Woodcutter's Daughter. Percheron Horses - draft horses in the Garden Route indigenous forests. The Knysna Elephants - their astounding survival story. Marine Protected Areas - the Nature Conservation Reserves of the Sea. Ocean Trauma - Natural and Human destructive impacts on the oceans. The Cape Fold Mountains - The great divide between the Garden Route and the Little Karoo. Whales and Whale Watching - mysterious and wonderful mammals. Eden to Addo Blueprint - corridors linking the 3 mega Reserves of the Cape region. Ocean - the history of Earth. OUTDOOR ACTIVITIES - out in nature's playground. Adventure Sports -available from the Sedgefield Adventure Association. Amazing Gerickes Point - an enjoyable pristine marine environment for the whole family. Boating on the Swartvlei & other waterways. Birding around Sedgefield and the Garden Route. Bird List for Sedgefield & surrounds - a guide for local birders. Cycling Sedgefield & the Garden Route. Loose Goose Cruises on the Swartvlei. 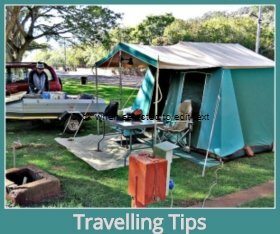 Recreational Fishing - many opportunities in the GRNP. Rhythms Riding - a riding school with purpose. Sedgefield Bowling Club - delivers a sport for all ages. Sedgefield Walks - easy walks to do by yourself. 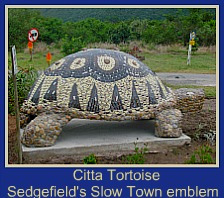 Slowtown Tourist Route -get a feel for Sedgefield walking or cycling this route. Buffelsbaai - safest Garden Route beach for swimming & surfing. Garden Route Day Walks beyond Sedgefield. Giant Kingfisher hiking trail at Wilderness. Gondwana Game Reserve - visited by Lakes Bird Club. Herold Wines - a farm visit at the top of Montagu Pass. Outeniqua Power Van Outing departing from George Railway Museum. Overnight in Die Hel returning via Prince Albert and Meiringspoort. Pelagic Bird Trip thru' Knysna Heads. Pledge Nature Reserve - a forest in the heart of Knysna. Red Elephant Forest Walk- a walk in the Diepwalle State forest. 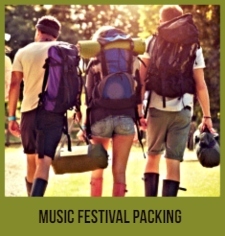 Three Special Guided Walks - let someone show you who knows! Township Visits with Gerald Sigcu - an insider view. Whiskey Creek Canoe Trail for a fun weekend with friends. Whites Road Walk - beautiful walk in the heart of Wilderness. Wildlife Encounters on a day trip to Plettenberg Bay -Whales, Birds and Wild Cats. Wild Woods Tree Adventures - fun in the canopy for all ages. Sedgefield Art Society - an enthusiastic & talented group. Sheila Cooper-Collins - Sedgefield's widely diverse artist known for her wildlife prints on handmade dung paper. Holmes -a Smutsville local talent to be proud of. Glass Roots - Helga's Studio at the Mosaic Market. Peter Cazalet - an international stage-set & costumer designer. Calligraphers of the Garden Route meet 1st Saturday of every month. For Art's Sake - Quality picture framing done by Dee Archer. Shutters Camera Club - a meeting place for photography enthusiasts. Armchair Adventurers Book Club -the shared camaraderie of book lovers. My Poetry Page - poems from my heart. Utopia Clivias - a special Sedgefield nursery. 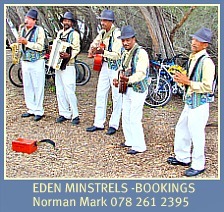 Garden Route Walking Festival-Spend the Ester weekend exploring the Garden Route on foot. Knysna Timber Festival - reflecting the heart of Knysna's timber heritage. CHARITABLE ORGANISATIONS-in the Sedgefield community. Fresh Start - teaching young kids self-empowerment. 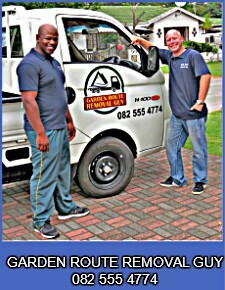 Masithandane - making a difference where it is needed most. Sedgefield Animal Matters - a much needed animal charity. Sedgefield Hospice - caring for the terminally ill and their loved ones. 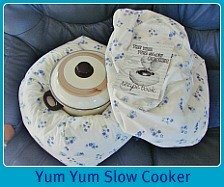 Slow Town Mobile Meals - feeding those who cannot feed themselves. The Living Cornerstone - a refuge for Alzheimer sufferers. SLOW FOOD - creating food biodiversity and protecting the environment. Slow Food Topics - Links to discussions & demos held at the Slow Food Workshops. A Worm Farm turns kitchen waste into organic compost. 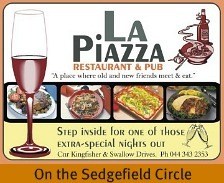 Sedgefield's Slow Food Convivium co-ordinated by celebrity chef, Colin Capon at La Piazza. Sedgefield's Slow Food Workshop - the 2nd meeting hosted by Chef Alma @ Groenvlei. Venus Ear successfully hosted Sedgefield's 3rd Slow Food Workshop. The Bistro at Lake Pleasant Living was the venue for the Spanish theme Slow Food Workshop. Caribbean Food at Pilipili was the theme of Sedgefield's 1st Slow Food Workshop of 2012. Montecello - hosted the November hot and spicy themed workshop. Gastronomic Sciences Students field trip to Sedgefield in February 2013. Zucchini at Timberlake Farm Village hosted Sedgefield's 5th Slow Food Workshop. Kilzers Kitchen - the best of local produce workshop. The Red Barn - open weekends for breakfast, teas and lunch. 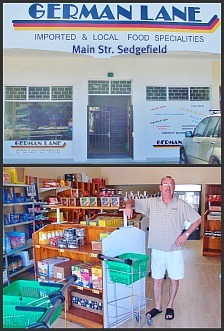 Taste of Scotland was hosted by Mo's on Rex, Knysna. The Winter Warmer Workshop - on Phantom Pass, Knysna. 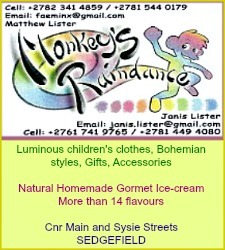 South African Fusion Food - at Far Hills Country Hotel. SEDGEFIELD - a short History, 80 years young! Sedgefield History Tree and early George Records. The Salts of Sedgefield - they were among the earliest residents. Sedgefield Hart Story - it begins with Agnes Hart in the 1920's. Elaine Watney, an English Lady fondly called the Queen of Sedgefield. Eppie Hooper - an unforgettable Sedgefield character. Fred Hampson - Veteran of Delville Wood. Groenewalds at Swartvlei - by Rosalie Badenhorst. Reedon Rodway - An artist and caricaturist of note. Sydney Press - A Successful Risk-taker and Benefactor. Growing up at Lake Pleasant - Briony's recollections of school and friends. Village Life - Briony Lidstone's Childhood Memories. Kiewietjie No. 10 and a few old Sedgefield Houses. 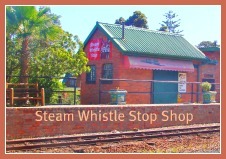 Tootsie Tourist Train -introduced in 1983 to the Garden Route. Outeniqua Choo Tjoe - the sad story. Sedge Mobile Meals -brainchild of Gilda Scammell. Solo Build It - building a web business that works! How we found the most beautiful spot on Earth! 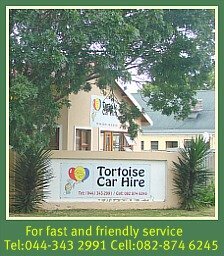 How we found our Sedgefield paradise. Margate - our Sedgefield dream come true! The Story - An adventure that took Martin Dellagiacoma from Sydney to Sedgefield! 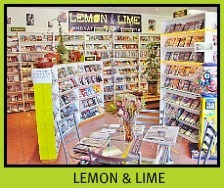 New releases, Imports, Cinema Nouveau, Playstation 2, Old Films etc. There are Happy Hour promotions from time to time. Nightly hire of DVD players. 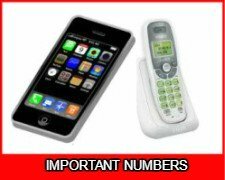 Arrange Contracts or pay cash. Some retail therapy is available. EVERY DAY AT THE SHOP. SATURDAYS AT THE MARKET. FOR THE BEST PIES IN TOWN TRY THE STEAM WHISTLE STOP SHOP!